Seth Hubbell, his wife and five girls, who began their journey in Norwalk, CT, were the second pioneer family to settle in Wolcott. They snow shoed eight miles of tree blazed trail from Hyde Park to Wolcott arriving with scant possessions during the “scarce season” to engage in a desperate struggle for survival. This account was committed by Mr. Hubble 35 years later in his narrative. 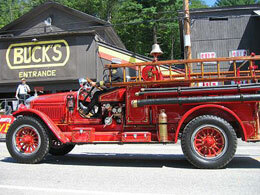 Wolcott is tucked between the mountains and the Lamoille river valley. The river is an attraction for fishermen and photographers, as well as boaters and is handicapped accessible. 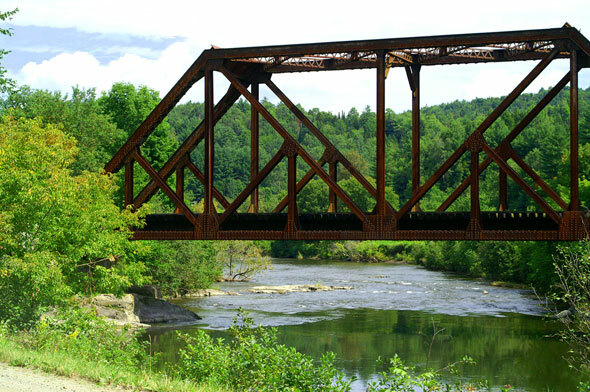 Fisher Bridge, over the river, is a covered railroad bridge with viewing and picnic facilities available.